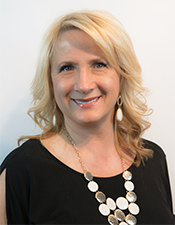 With 20+ years experience in the field and 10 + years as a salon business owner, Tereska has fine-tuned her craft in hair styling. 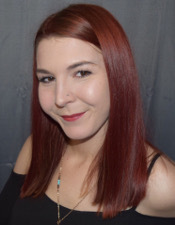 She has a strong background in hair color with post graduate certifications and advanced training in extensions, Goldwell, and Yoshi/Vidal Sasoon. 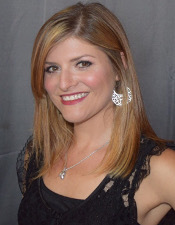 Having graduated in 1994 from Molar Beauty College, Tereska achieved recognizable success having worked with celebrities such as Melanie Griffith and Michelle Williams to name a few. Tereska is very knowlegable in her field and enjoys creating a fun and exciting environment for both her customers and her co-workers. Marta, who studied art all her life, fell in love with a different kind of medium while working next to her mother at Salon Tereska, it was hair. She uses her artistic eye both in hair and make-up, and believes that individuality and attention to detail are important in customizing styles. She studied under Tereska and attended the Vidal Sasoon Academy in Santa Monica. Shortly after, she became a Goldwell Ambassador furthering her knowledge in the Goldwell color line used at Salon Tereska. She also attends classes monthly to increase her knowledge and keep current with new trends. Yasmina has over 8 years experience as a Nail Technician along with a degree from Moler Beauty College. She regularly attends and actively participates in the annual Premier Hair and Nail show in Orlando, Florida to stay informed and up-to-date on the newest trends and techniques. The relaxing and personal ambiance that her nail studio creates gives her customers the comfort needed to enjoy the treatments and overall experience. Equipped with a degree in business from LSU and a life-long interest in the beauty industry, it was only natural for Ally to market and manage a boutique hair salon like Salon Tereska. 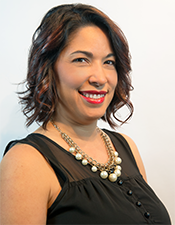 Starting 5+ years ago, she has grown from Front Desk Coordinator into Salon Tereska’s Marketing Manager and Business Assistant Manager. 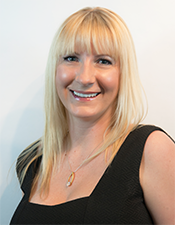 She coordinates all events, handles scheduling, and manages the social media presence for Salon Tereska. After assisting in the salon for 2 years, Brittany noticed her love for the combination of art and science that doing hair creates. It was then that she realized she wanted to be that person behind the chair making people feel confident and self-empowered. 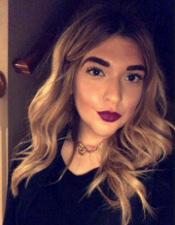 In addition to receiving her license with the state in 2015, Brittany continues her education with classes and shows throughout the year, including substantial training with our main color line Goldwell. Her passion is with curls, fashion color, and redheads, but she is trained for any unique hair type and style. Since she was young, Helen always knew she wanted to become a hairstylist. It started with an interest in hair styling, then cutting and coloring, and then became her passion! She attended the Aveda Institute and graduated in January of 2016. Helen began with assisting and not long after, moved up to a hairstylist. She continues her passionate journey with ongoing educational classes and events like the Behind the Chair and Premier Orlando shows.